The Kiwanis Club of Greater Parsippany is pleased to introduce our “Mission Partner Program”. Through this program, we hope to form a mutually beneficial partnership, so that in return for your financial support, we may offer you more than just a tax deduction. We believe that the Mission Partner Program offers benefits for individuals and families or businesses. For individuals and families this program provides an excellent way for you to acknowledge that you support the mission and work of the Kiwanis Club. If you have a local business, it offers a fantastic potential ROI on your promotional dollars. Your name or company name will appear on a hole sponsorship sign at our annual golf outing.  Your name or company name will be posted on the Kiwanis Club web site, club e-newsletter, and in our annual membership directory. You will receive a “Kiwanis Club Mission Partner” decal to place in a prominent place at your own location. Please consider partnering with us by writing a $300 check to the Kiwanis Club of Greater Parsippany Foundation. We see this partnership as a way for you to promote your business while helping the children of our community. Thank you for your consideration of this request. This is how your name will appear on the donor plaque.